Be Careful What You Say. My Daughter Is A Parrot. There is a new phenomenon brewing in our home lately. A constant echo can be heard behind our four walls. This echo has the sweet voice of a lovely little girl whose vocabulary is growing daily. Since she was born, I have tried to curb the foul language. In general, I try not to curse but every once in a while, it just slips out. This can be dangerous when you have a parrot that lives in your midst. It was bad enough that some of her regular words already sound like cursing. One day while shopping at Target, Mai kept pointing & screaming the “F’ word. “F@*k!! F@*k! !” Oh my goodness! I was mortified. I then had to respond to her in an equally loud voice so others could hear. “Yes Mai, it is a frog.” As you have probably guessed her pronunciation of the word frog sounds striking similar to the worst offending of the swear words. My husband and I try to be so careful about what we say in front of our little girl. We really do try but then one of us stubs a toe & …. Mommy: “Oh crap!” Mai: “Ahahahaha, Crap, crap, crap, crap , crap”. Mommy: “No Mai, mommy said crab. CRAB.” Mai: “CRAP!” Crap is right. Shame on you, mommy. We have tried to get creative when using bad language. My husband in a moment of frustration the other day, spelled out a naughty word to try to drive the point home about how aggravated he was. You can’t outsmart our little parrot. “S. H. I…”,she repeated. “No baby girl, A.B.C.” At least she is learning to spell. How do I keep my little angel from getting a potty mouth? Over the course of their childhood, chances are your child will be subjected to swearing. 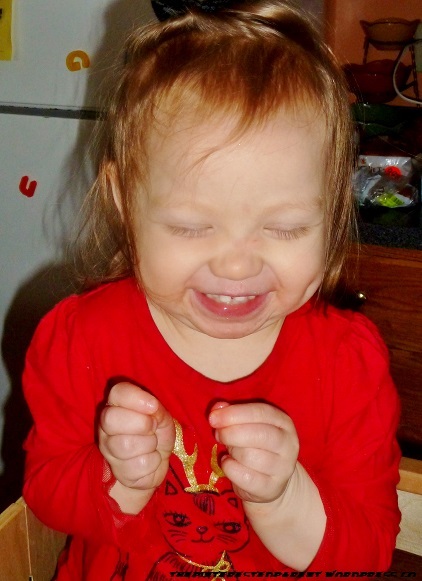 Here are some things that you can do to try to keep your toddler from cursing. 1. Monkey see, monkey do. Set a good example. 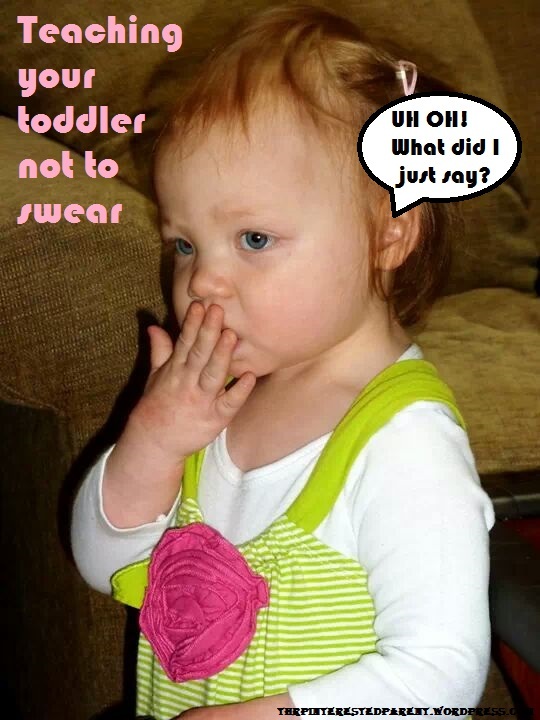 Don’t use foul language in front of your toddler & ask your friends and family to follow suit when in their presence. Start a swear jar & add money to it when ever you curse. This will help teach mommy & daddy to clean up their language, as well. 2. If they do swear, don’t let it get a reaction out of you. Do not laugh or engage your child’s naughty language. This will only encourage them to say it again. 3. Divert them with another word to use instead of the offensive word. 4. Be mindful of what you watch & listen too. Movies & songs often contain offensive language. 5. Depending on the child’s age & understanding, simply explain to them calmly that what they are saying is inappropriate. 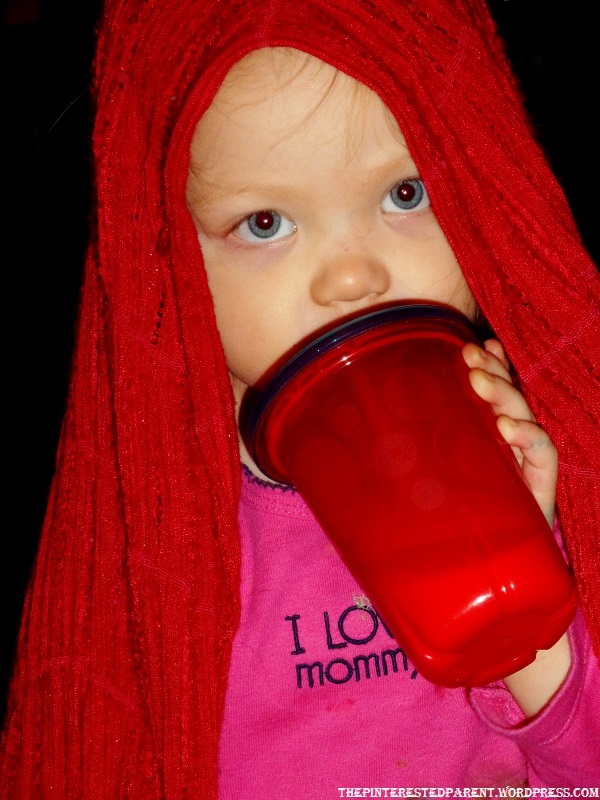 10 Things You Can’t Do If You Have Kids What Daycare Teaches An Only Child A Football Widow’s Rant Pasta Love Bug Crafts Crescent Roll Breakfast Muffins What Feels Like A Vacation When You’re A Mom 10 Parenting Truths That We Are Guilty Of Do As I Say, Not As I Do. These are so very good tips! Football is a hot bed for foul language in our home. My husband is a die hard sport fan. My daughter actually even asks to watch football now. It is cute but husband definitely lets it fly during a Pats game. You make perfect sense. I know exactly what you are talking about. Lol! She does say the darnest things. With two little girls ages 3 and 4, I have so been there and you are totally right about not reacting and we have done are best to ignore, but there are times where my younger (who is more the one to push) has said something and I have to walk out of the room to keep from laughing (or reacting). I know it is hard not to laugh. Right after having posted this today, our neighbor’s dog got loose in our yard again & I said “That Jack is such a pain in the bum bum.” Yes, I actually said bum bum. She immediately laughed & was saying “Jack, Bum bum” Lol! My little cousin had a problem with this!